Editors are very important in publishing. Many books have multiple editors with different specialties. (See funny satire about editors) No editor knows everything about anything, and certainly not everything about everything. Despite the use of editors and fact-checkers, even major publications frequently publish errors. Time magazine has been known for especially rigorous fact-checking. 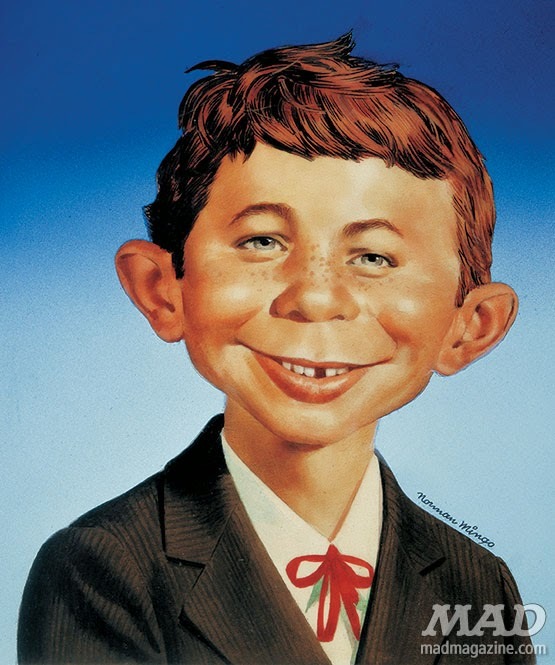 Nevertheless, it misspelled the last name of Alfred E. Neuman (my middle name) as "Newman." Newsweek even printed a lowercased “newsweek,” and is infamous for printing corrections ("Newsweek regrets the error"). The New York Times has online and printed correction sections. The New Haven Register once printed different dates on two pages of the same day's paper. A Register article dealt with a Civil War veteran who died in the 1700s -- before the Civil War! The February 2009 issue of Automobile magazine told readers that Thomas Edison said, "Mr. Watson, come here." Actually, Edison was the guy with the light bulb, moving pictures, phonograph and concrete houses. Alex G. Bell was the one who spoke to Watson on the first telephone. Errors in periodicals can be easily forgotten (but maybe not by me). Online errors can be quickly corrected. Errors in books can misinform, annoy readers and hurt authors' reputations for centuries. Be a careful writer and choose your editors carefully. Sometimes an editor will assume that the author must know what’s right and does not correct the author’s error. Sometimes an editor assumes the author was wrong, and then changes right into wrong. The author may not notice -- or might assume the editor was right. “Paul Senior” said his parents charged people to park in their driveway on Cooper Street in Yonkers when they went to baseball games in Yankee stadium, which was within “walking distance.” The stadium is about 8.5 miles south. The 17 mile round trip is not “walking distance” for most people. I hope Paul calculates more precisely while building motorcycles. On page 147 we are told that "inventory shortage is the term applied to discrepancies between the inventory recorded as sold and the actual depletion of stock on hand." The proper term is "shrinkage," not "shortage." Retailers know this, and so should writers and editors doing a book about retailing. On page 186, Levine mentions "people called factors," who advance payments to stores based on accounts receivable. It's possible that hundreds of years ago factors were individual people, but during the Barneys era, factors have been companies. On page 244, Levine tells us that Fred Pressman "didn't have the kichas for it... a Yiddish expression for intestinal fortitude." The proper term is kishkes. This error is unforgiveable for a writer with a name like "Joshua Levine." The word originally meant "intestines," and is now slang for "guts." The Essential Guide to Telecommunications by Annabel Z. Dodd does a pretty good job covering the subject, but has some silly errors. On page 40 she says, "Rotary telephones, called 500 sets, were introduced in 1896." Actually the 500 model designation was not used until after World War II. Before that were the 300, 200 and others. In Release Your Writing: Book Publishing, Your Way!, Helen Gallagher says that POD printer Lightning Source is owned by Amazon. It’s not. Maybe Helen’s editor assumed that Helen knows her subject better than she really does. Editors should not assume authors are experts. And vice-versa. Authors should not assume that they are experts either. Back in 1976, I accused a co-author of BS-ing when he wrote about a “baobab” tree. I was sure that there was no such thing. There is. The picture shows one. It looks like it's growing upside-down. This speaks to the fact that no human is perfect and that no matter how often one checks, one is prone to missing information.